Call H2 Environmental Consulting Services at (800) 524-3578 for a thorough environmental evaluation of your home. Why? You may be wondering. Sure, many people are comfortable having young kids over without enlisting the expertise of H2 Environmental Consulting Services. But if you really care about the kids who will be spending time in your home, it’s best if you give H2 Environmental Consulting Services a call beforehand. Schedule a complete environmental evaluation of your home by calling (800) 524-3578. We’ll bring all our advanced technological tools to check every molecule of your property – its water, soil, air, and physical structure, too. Lead is an especially common contaminant that it’s important to be aware of. The vast majority of all properties that existed before the 1980s had lead-based paint. Then scientific studies conclusively determined that lead poisoning can lead to serious developmental delays and other health issues. Lead-based paint has been found to be one of the most common sources of lead poisoning in young children. What happens is that dust and paint chips come off the walls. Young children often play and crawl around on the floor, and then eventually put their hands in their mouths, ingesting the paint. No amount of lead exposure is safe for children, so it’s important that they be protected from even a slight amount of it. If H2 Environmental Consulting Services finds that your home has one or more contamination problem, we’ll develop a comprehensive remediation plan to take care of it so you and your young guests will be able to breathe easy. We follow all federal and state safety regulations and disposal requirements precisely – plus we are fully licensed and insured. 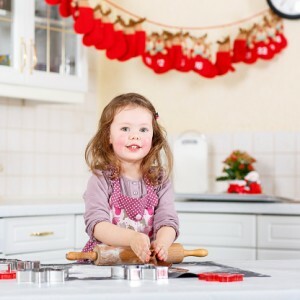 Welcome kids to your home with a huge smile on your face this holiday season! Call H2 Environmental Consulting Services to schedule your home’s environmental evaluation. You’ll enjoy so much peace of mind when H2 Environmental Consulting Services signs off on your property. The kids will be able to run and play to their delight without you having to worry about them being exposed to harmful contaminants. The mission of H2 Environmental Consulting Services is to make Southern California a safer and healthier place to live – one property at a time. Let us evaluate your property to determine whether it contains any common contaminants today. You’ll be able to enjoy the holiday season to the fullest and start 2017 off on the right foot! Call us at (800) 524-3578 today.